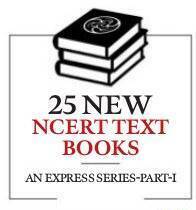 Ancient Indian knowledge, tradition and practices now find more space in the new NCERT textbooks that hit the shelves in March, shows a content analysis of 25 textbooks by The Indian Express. Books meant for students of Classes 6 to 10 carry new or additional information on ancient Indian philosophy, ayurveda, yoga, teachings of Upanishads and smritis and scientific achievements of ancient India in areas such as astronomy and metallurgy. These changes are part of the textbook review — the first since 2007 — undertaken last year by the NCERT, an autonomous organisation that advises the HRD Ministry on school education. 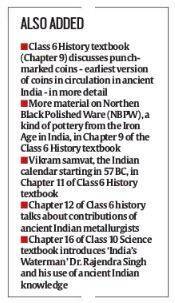 They assume significance against the backdrop of the growing demand from BJP and the RSS to give more space to the country’s ancient past in school textbooks. Speaking at a lecture series organised by IGNOU and the Sangh-backed Bhartiya Shikshan Mandal in August last year, HRD Minister Prakash Javadekar had mentioned that NCERT will work on giving students a better understanding of Bharat and its “glorious past”. “We will replicate such courses with NCERT because we think our true identity begins with the identity of our nation. Without knowing it, we will not be able to decipher the truth about the world. We are open to discussions about the value of our past,” Javadekar had said. * Chapter 7 of Class 6 History textbook (‘Our Pasts – I’) introduces students to the six schools of Indian philosophy: Vaishesika, Nyaya, Samkhya, Yoga, Purva Mimansa and Vedanta or Uttara Mimansa. These are believed to have been founded by sages Konada, Gotama, Kapila, Patanjali, Jaimini and Vyasa. * Although the old version of the Class 6 Geography textbook (‘The Earth Our Habitat’) already had material on astronomer Aryabhatta, NCERT has added more information on him in chapters 1 and 3. Chapter 17 of the Class 10 Science book, too, has additional text on Aryabhatta including his work on the Earth’s diameter, solar and lunar eclipses. * The Class 6 Science textbook introduces yoga as “an invaluable gift of the ancient Indian tradition” and highlights its health benefits such relieving joint pain and a healthy heart. This has been introduced in Chapter 8 on body movements. * Chapter 16 of the Class 10 Science textbook quotes two hymns from Atharva Veda to demonstrate how sustainable living has always been an integral part of India’s tradition and culture. 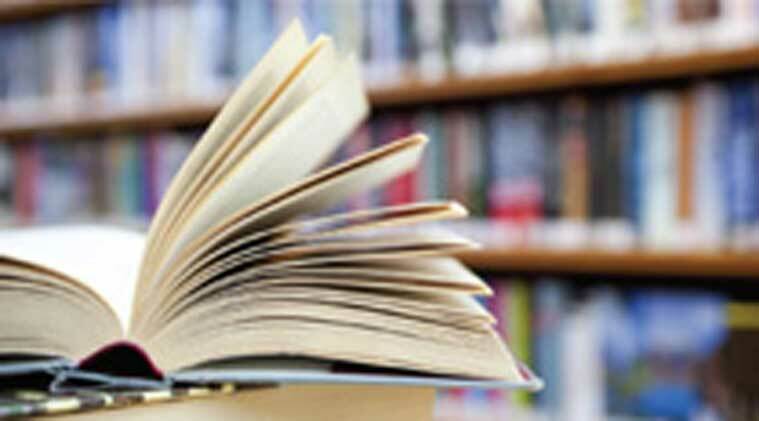 “All the changes and additions made to the textbooks are as per the public feedback received by the Council,” said a senior NCERT official, who did not wish to be identified.